Christopher T.J. McGuire, SOC, ACO, GBCT started his career in the UK working mostly in documentary and light entertainment, assisting various cameramen nationally and internationally. He's traveled extensively covering locations such as Chernobyl in the Ukraine, and traveled transatlantic on the QE2. After a few years he bought his own Sony DigiBeta and then a Steadicam, and was able to get work on a mix of genres; live events (World Cup Football in Korea and Japan), concerts and music performances (Simply Red, Planet Pop, 4Music, BBC Live), and investigative documentaries (ITV World in Action, Channel 4 Cutting Edge, BBC Panorama). McGuire made a commitment to focus on Steadicam, and following that route he worked for nothing on several short films. Getting as much experience and flying time as he could in the rig enabled him to move slowly but surely into his big break working on Harry Potter and The Order of the Phoenix. He shot the sequence in which Harry, chases Bellatrix into the ministry and Voldemort makes his transmorphed entrance into the movie. 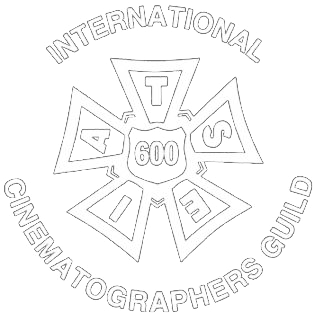 Since then, McGuire been lucky to have worked on motion pictures in many countries including the USA, UK, Bulgaria, South Africa to name a few and he is especially grateful to have been accepted into the SOC, ACO and the GBCT and was also the recipient of the SOC’s 2015 Camera Operator of the Year Television for his work on Season 1 ‘True Detective’. Chris McGuire is a filmmaker to the core and represents all the qualities of a great camera operator.I had the pleasure of working with him on "The Ticket" where he was able to gracefully move the camera in ways I have not seen before. If I imaged it, Chris would bring that movement to life using his many talents. From the Steadicam Revolution down to old school handheld work. The AR rig adds a new dimension to the action sequence. I've never seen some of the shots we were able to achieve by turning the camera while hand held or in steadicam mode. Its a new tool that is only limited by your imagination. I have a strong visual take on my shots. The Steadicam operator who works for me has two choices...too match it or to surpass it, Chris surpasses it! We are privileged to have him back for my next production.